Custom made scarves are the perfect way to support your favourite sports team and a unique way to increase your company’s branding with virtually no limit to the design possibilities. Our 100% polyester custom scarves are already a regular at major sporting events around the world. With the possibility of printing any team colors, mascots or logos on a custom scarf, they are a wonderful way to promote and support your favourite team. 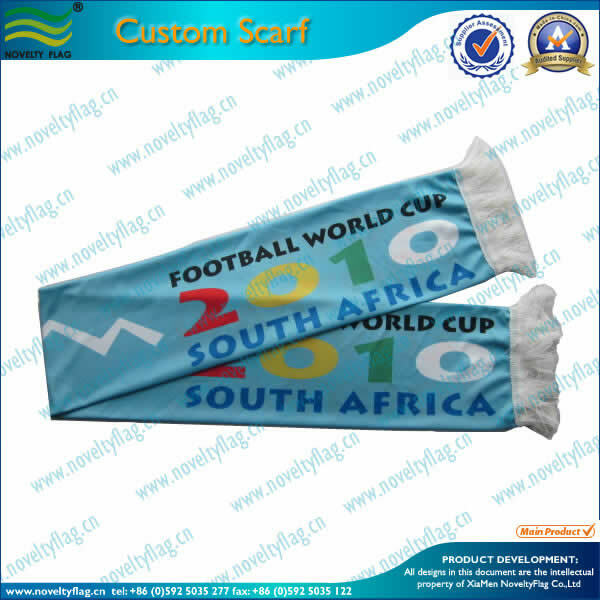 The custom made scarf is not only useful in the sporting arena, they are also an eye-catching and unique way to advertise a company, promotion or event. To take advantage of this unique advertising tool, or to take your support for your team to the next level, ask for a quote.